I’m happy to report that, unlike past years, my Christmas/Yule holidays were surprisingly pleasant. Usually the Yuletide season is both physically and emotionally difficult for me, as I have been usually prone to depression and physical illness in the final months of the year. For that I am grateful and I’m trying not to overthink it. Another aspect of this Yuletide concerned abundance of gifts that involved a particular image. And that was Yggdrasil…the Tree of Life. I’d had my eye on these prayer beads ever since they were posted. Perhaps it was the color scheme (I love the earth toned palette and the feel of the madre de cacao wood beads*) but I vacillated on which I preferred — the silver or the goldtone tree pendant? As much as I’ve always felt drawn to trees – and the concept of the World Tree especially – my brain has always wrangled with the concept of working with Odin/Woden. Perhaps it is because I am a Lokean at heart, but I cannot deny that I’ve definitely felt drawn to the Tree. I will not deny the connections that I feel with trees symbolically and spiritually. So, these beads arrived on December 21st. Even my son pointed out that the inclusion of this little frame seemed random, as every other item in this gourmet picnic basket** was food/beverage related. This basket contained a pair of wine glasses, a standard-sized bottle of red wine, a small assortment of gourmet cheeses, a cheese knife, a cutting board, two plates, a box of fancy English biscuits, a package of assorted organic wheat crackers, a pound of fine dark chocolate…and what we all thought was simply an elegantly folded pair of linen napkins, tied with a ribbon. The frame was folded within the napkins. The basket was store-bought and obviously pre-made. It was definitely an unexpected, if somewhat odd surprise. 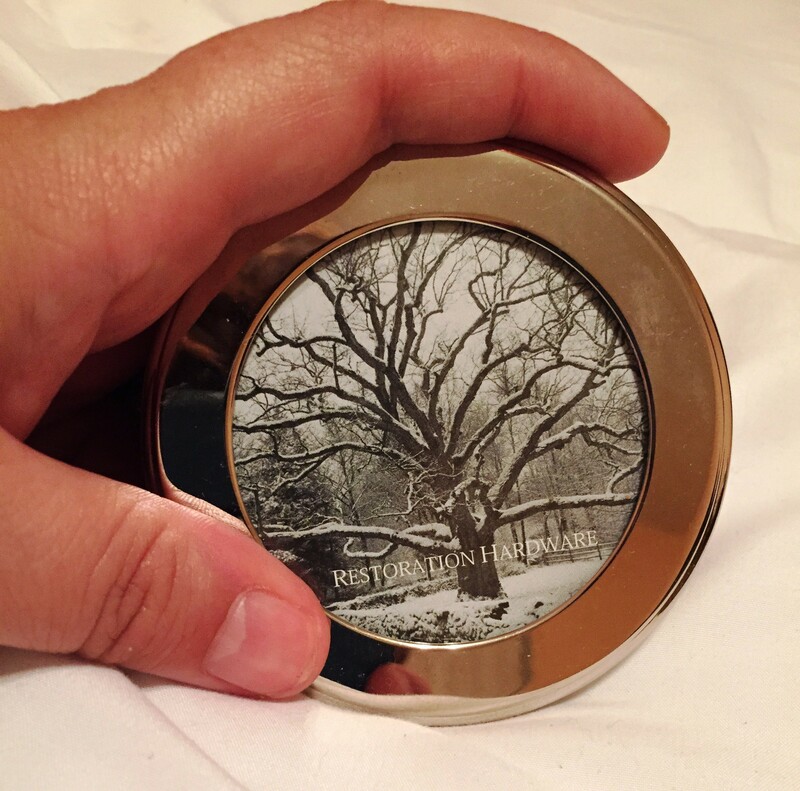 …featuring (yet another) Tree of Life. 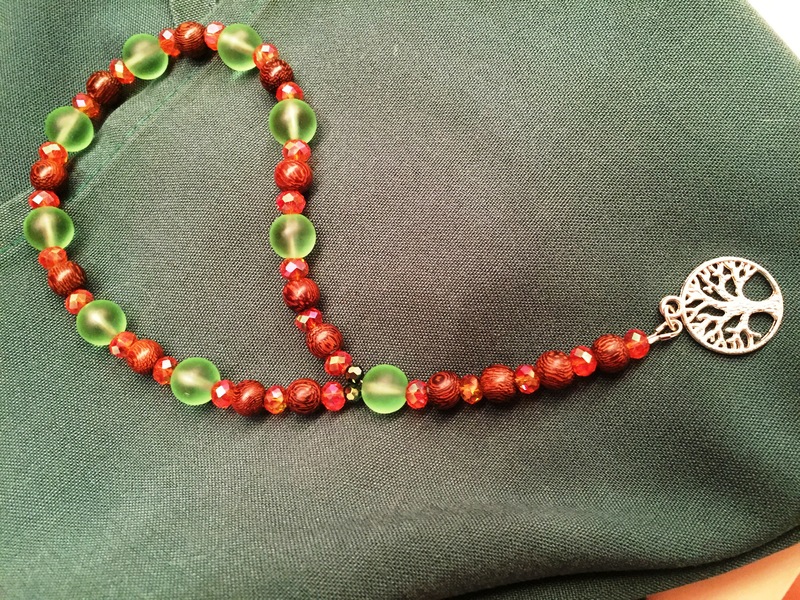 *My Loki prayer beads feature palm wood beads. I’ve been overthinking things a lot lately. Weeks go by and I realize that I’ve lost sight of the overall picture. Today, I wanted to do something different. Even though I don’t consider myself as much of a Star Wars fan, I know that my husband and kid were anxious to see the movie. (Meanwhile, I was somewhat skeptical of the hype, so I didn’t want to go in with too many expectations.) But so much was their excitement, that my husband pre-ordered the tickets online on Tuesday, at $17 a ticket. At first, I’d assumed that these tickets had been more expensive than usual because it is the opening weekend, but then my husband apologized to me this morning because he’d realized too late that he’d purchased tickets for the 3-D version of the film. Due to some specific visual issues that affect my binocular vision and depth perception, I’ve never been able to experience a 3-D movie. But I really wanted to be a good sport, so I figured that I could find a way to adapt. I brought my prescription glasses, hoping that the best case scenario would be that the film would appear only somewhat blurry if I used them in tandem with 3-D glasses, as that had been my experience in the past. Star Wars: The Force Awakens is an entertaining film. The action was fast-paced and the plot was engaging. Star Wars:The Force Awakens was visually stunning. But I really couldn’t get over how vivid and bright things appeared onscreen. Perhaps this is how a 3-D movie should look. Perhaps I was actually experiencing a 3-D movie for the very first time. And for me, this is no small thing. *RPX stands for Regal Premium Experience, which is supposed to have better picture and sound quality than IMAX, complete with a giant, IMAX-size screen. Though I did not expect this post to go in the direction that it eventually goes, I maintain that this post may give others some food for thought. Poetry: I need…a red dress.